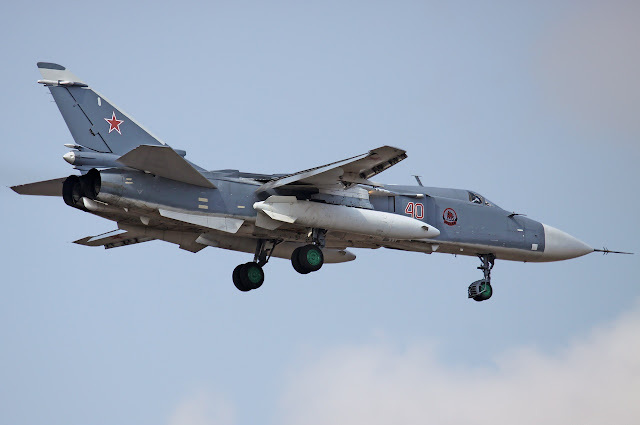 U.S. officials have confirmed that four Russian SU-24 Flanker fighter aircraft have arrived in Latakia, a development that US officials have been anticipating with concern. The aircraft arrived earlier Friday, and it does not appear that they have flown operational missions yet. A U.S. official says there are now eight Russian helicopters at the base, up from four just a few days ago. Officials previously said that the number of personnel at the base is now more than 500, that six Russian howitzers have been placed around the base, and that there are six or seven Russian T-90 tanks.